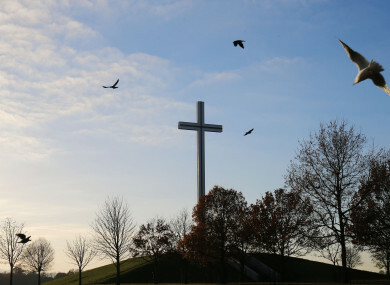 GATES AT THE Phoenix Park have been taken down for restoration ahead of the Pope’s visit. Drivers in the park have in recent days noticed that the wrought iron gates have been taken down, replaced with steel security gates. The Office of Public Works (OPW), which is tasked with the running of the park, says that the gates have been taken down to carry out restoration works. “The OPW is taking the opportunity to restore and conserve a number of the entrances to the Phoenix Park as part of the preparatory works for the visit of Pope Francis for the World Meeting of Families 2018. These conservation works which have been agreed with Dublin City Council are being supervised by OPW conservation architects and are part of the measures being undertaken for the health and safety of the hundreds of thousands of people from across Ireland and abroad attending the closing Mass in the Park. “In order to allow the temporary removal, conservation and restoration of the gate entrances and the carrying out of associated infrastructural works, road closures at entrances to the Park will apply. The Papal Cross car park has been closed to vehicles and pedestrians until after the Pope’s mass on 26 August. Email “Phoenix Park gates being 'restored and conserved' ahead of the Pope's visit”. Feedback on “Phoenix Park gates being 'restored and conserved' ahead of the Pope's visit”.